Klotz GmbH is a German-based organization that develops and builds specialized machinery and technical software for measurement, testing and automation equipment. 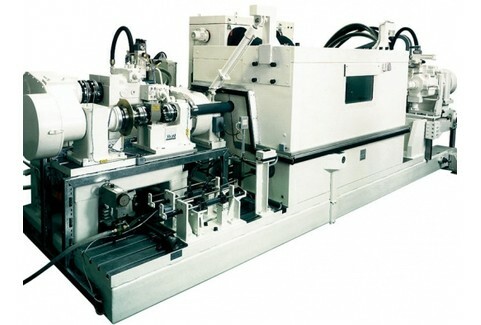 Klotz’ machinery is used worldwide throughout the automotive industry. Project-collaboration in business requires efficient processes to meet challenging deadlines and ensure accuracy when sharing fluid information. With the right tools, an organization hopes not only to remain organized, but to gain a competitive advantage. “There is a significant difference between a process that takes three seconds to archive a project document and a process that takes 30 seconds for the same task,” suggests Jürgen Kaiser, Project Manager at Klotz. Needing to utilize a common platform for document management and collaboration, Klotz decided to deploy Microsoft SharePoint. Their objective was simple and explicitly fixed: all documents were to be handled in digital form. Paper-based documents like purchase records were to be digitized as early in the process as possible. In the modern business world, emails are a vital and indispensable element in collaborative projects. In many cases, for every document of record, you may have many accompanying emails of record. Are these email records not documents in and of themselves? Should they not be treated and archived as such? As the primary step for document retrieval, it’s essential that document archival processes are simple and, if possible, automated. It doesn’t make sense to trade off the time it takes for an employee to retrieve a document with the time it takes for them to properly archive it. Having already deployed SharePoint, Klotz still needed a way for their users to access project emails via classifications such as “to,” “from,” and “subject,” in addition to the contextual aspects of the documents. The challenge that Klotz faced stemmed from their understanding that document management software is only as good as its ability to produce information on-demand. harmon.ie’s simple, intuitive solution has enabled Klotz employees to get the most out of more than just their SharePoint, but also out of their email and file documentation. Klotz needed to find that connector to bridge the gap between Outlook and SharePoint, and harmon.ie presented them with the automated content synchronization and collaboration means for achieving that. The ability to synchronize email steadily and regularly, rather than intermittently, has allowed Klotz to work directly from SharePoint without any single- or multi-user confusion – or additional user support efforts. harmon.ie has also improved Klotz’ email management through increased visibility and smooth functionality. harmon.ie has helped Klotz employees to be able to retrieve SharePoint information more quickly, easily, and efficiently than ever before. They even found the Outlook integration to be simple and easy to follow. harmon.ie’s metadata tagging and email sorting has greatly improved Klotz’ record keeping and data cataloging. “Klotz employees have even commented on how remarkably well harmon.ie has been able to derive metadata classifications from long email threads,” says Jürgen Kaiser. For Klotz employees to improve their collaboration and increase their production, they were happy to welcome an automated solution that wouldn’t bog them down with complicated steps for manipulating their document workflow. “Using harmon.ie, we were able to achieve our project objectives with respect to document management in SharePoint,” reported Jürgen Kaiser. Having already invested in SharePoint, the organization was able to strengthen this solution and enhance their workflow. Thanks to harmon.ie, a number of key areas – from synchronization to documentation to retrieval – have been vastly improved in an intuitive, user-friendly manner.